Club Aviva runs fantastic parties for all occasions! All of our birthday packages feature one hour of play time in the gym with one of our certified staff leading the children the whole time. For more information see the information on our one and two hour party packages below! Our standard birthday package offers organized games and supervised free time on our equipment. The children will then be lead to a party room where they will eat pizza or hotdogs, cake, and open their presents. Our gym features in-ground trampolines, an enormous foam cube pit, and multiple rope swings. Children will be accompanied by a certified staff member throughout the entire two hour party - let us do all of the work! 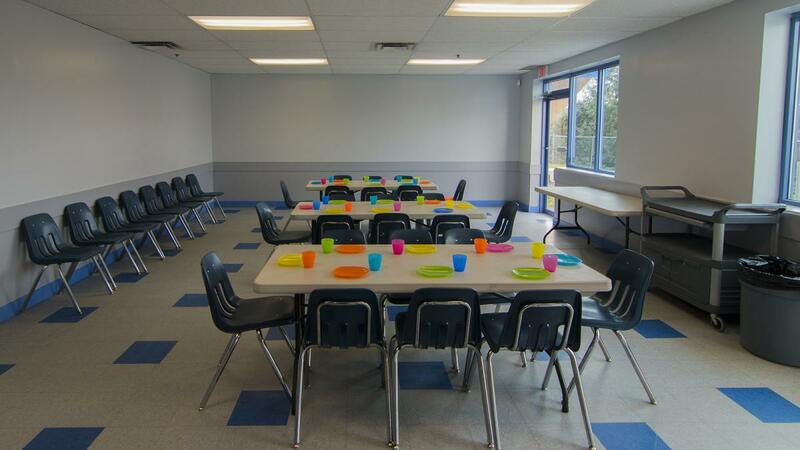 1 hour in a party room - we provide the plates, cups, napkins and cutlery! You will likely not have access to your party room until the second hour of the party. However we are more than happy to set up pre-assembled decorations, including wall hangings, streamers, place settings and balloons. We DO NOT blow up balloons or assemble decorations. Parties with 20 or more participants will be charged a 10% gratuity. Parties can be rescheduled with no loss of deposit up to two weeks prior to the date of your party. Parties rescheduled within the two week window will lose their original deposit and will be required to pay a second deposit. Any cancellations at any time, for any reason, will result in loss of the $75 deposit. Check the Parent Portal for current availability. Please note, we often add additional time slots as the weekend fills up so the available slots may change. To ensure complete customer satisfaction, Club Aviva has a maximum of 30 children in the gym and 50 people total in the party room for our two hour parties. Please note we do require advance notice to accommodate very large parties and availability may be limited to only a few time slots per day. Also, parties with over 20 participants will be charged a 10% gratuity. An extra staff member may be available when booking your party (advanced notice is needed), for an additional cost. This birthday package provides children with one hour of organized gym time. Children will begin by playing organized games before bouncing on our blow up Air Trak, followed by free time on the equipment. Our gym features in-ground trampolines, an enormous foam cube pit, and multiple rope swings. Children will be accompanied by a certified staff member throughout the entire one hour party - let us do all of the work! Same as our 2 hour parties!